LGBT rights in Europe, six reasons to invest in Africa , religion and the Middle East and other top stories from the last seven days. More electric charging points than petrol stations. Japan is already there and the world may follow. 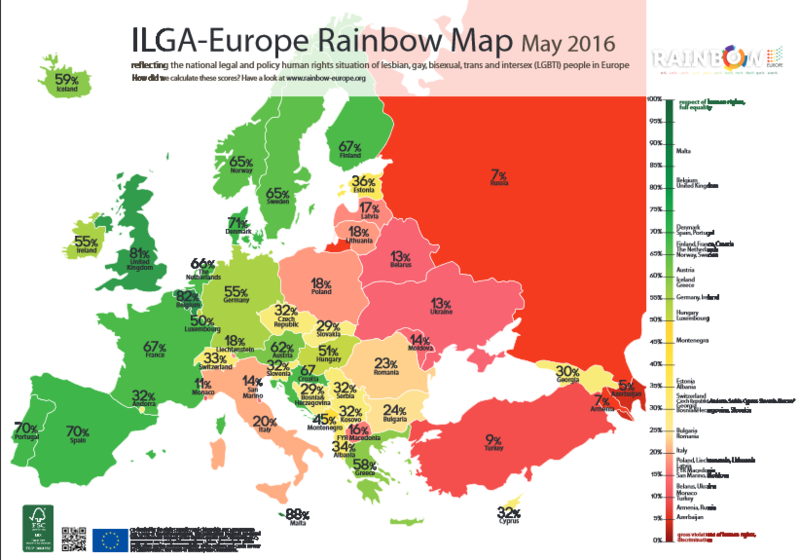 Who leads Europe in LGBT rights? The rainbow map draws a vivid picture. Fighting sexism in Mali, Afghanistan, Turkey, Kenya and Moldava. Five women share their stories . Six reasons to invest in Africa. One of globalization’s last frontiers offers big opportunities . African agriculture is especially promising. Simple technologies could transform it. Want to be a digital leader? You’ll want to cultivate some special traits . Latin America can grow quickly again. But it has to close the productivity gap . The World Economic Forum on Africa. This week we’ve been in Kigali. If you missed the meeting, catch up online. Hear what Oxfam chief Winnie Byanyima has to say about growth on the continent, watch Tony Blair and President Paul Kagame talk about business in Africa, or find out about the future of production in the region . Another housing bubble? Home prices are surging in Germany. China is heading for a big policy shift. Less debt and more reforms are coming. Should you be afraid of artificial intelligence? Probably not, but we need to work on AI’s actual challenges . Western Europe needs less Russian energy. The shift has big geopolitical implications . We may be overestimating religion’s role in the Middle East. Politics explains much of the Sunni-Shia conflict.